When President Obama announced his plan for passing a Healthcare Law, an alleged group of grass-root protestors appear in military uniforms. They would later march on Washington carrying guns. These rebels claimed they were a new Patriotic Militia ordained to restore the Constitution that Obama had destroyed by turning America into a Socialist Nation. Not one of these Patriots has objected to the billions of dollars the European Union is about to give Ukranians, who get free medical, as do many nation-members of the EU. These alleged Patriots were not going to stand still for results of a fair election. Their leaders met in secret and took an oath to be Obstructionists and make sure our first black President fail in all his endeavors. 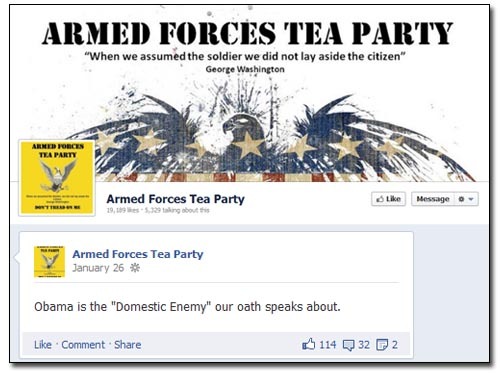 These Loyal Patriots titled our President a “domestic enemy”. The next time I see one of these traitors wearing the uniform my real family of Patriots, fought in, I am going to demand they remove their clownish pretension. This Disguised Army wears no valid insignias of the Armed Forces of the United States. They claimed Obama was an illegal holder of office because he was not a Citizen. 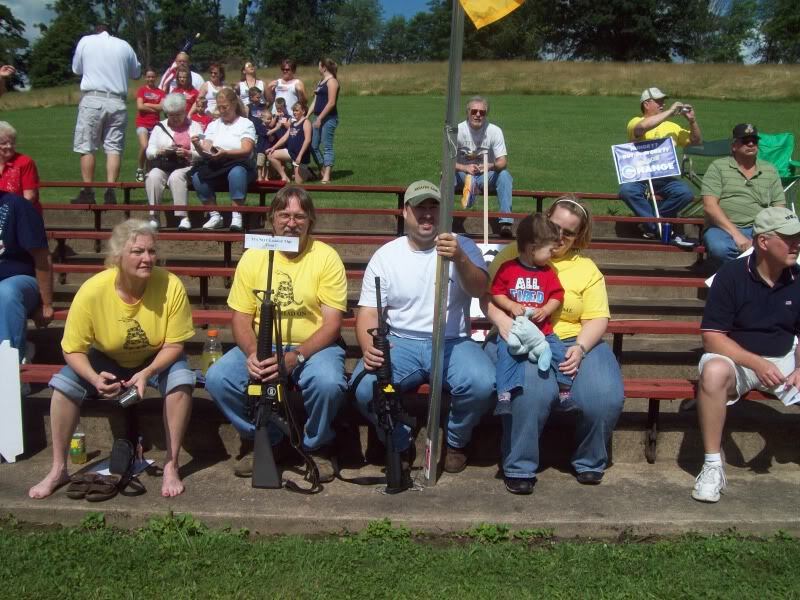 Some members of this militia threatened violence and disrupted town hall meetings. This was no grassroots movement. The wealthy Koch brothers, who are oil tycoons like some Russians, paid for this insurrection because – THEY ARE SORE LOSERS JUST LIKE THE NEO-CONFEDERTES! 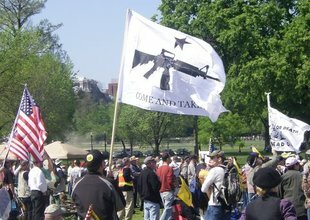 The Tea Party is a private militia of the Koch brothers whose father was a oil tycoon in Russia. The West has just put economic sanctions on Russia’s oil tycoons. Why not the Koch brothers – our real domestic enemies? The Koch Tea Party gleefully took away billions of dollars of food stamps from the American People. This is part of the Economic Sanctions and Warfare inflicted upon the Blue States, by the Red States, as revenge for the Reconstruction after the South lost the Civil War they started. There plan is to get rid of all Federal offices, so when a Democrat is elected, there is nothing for him or her, to do. Powerful Capitalists will rule America – with the help of their hired militia men! The Radical Republican went down South with armed Union Soldiers and held elections. 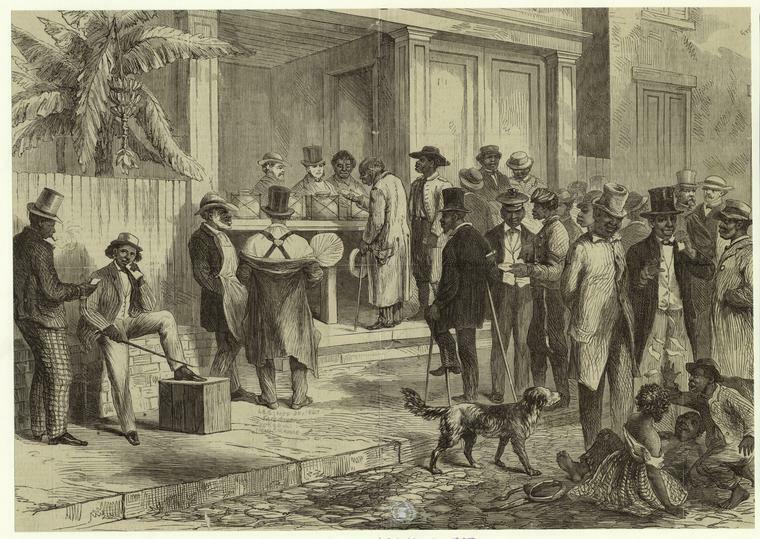 For the first time, black slaves were voting. Today, the Red State Tea Party Traitors of the Army of Koch, are passing VOTER RESTRICTION LAWS aimed at diminishing the black, the student, and the elderly vote, because these folks chose to vote for Democrats! Putin has imitated the Tea Party Traitors after the Ukranian people rebelled against a Fat Capitalist Pig who stole 80 billion from the people in order to build a fine palace for himself – with private zoo! 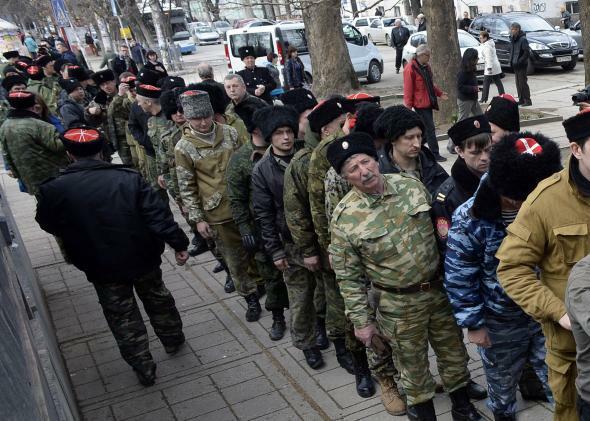 Putin sent his troops in – with no legitimate military insignias on them. 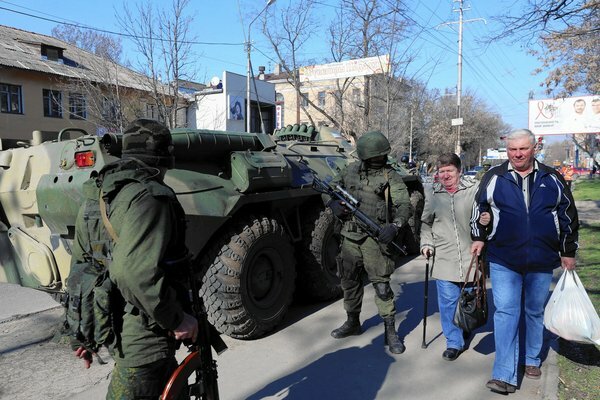 Putin lied, and said these armed men were part of a grassroots movement, they there to protect Russian Family Values from those who meant to do them harm! I am going to be petitioning my Representatives in order to put an end to Voter Suppression. How about you? I refuse to be intimidated by a bunch of armed thugs in fake military uniforms bent on taking away the power of a Democratic Vote! Russia must respect “basic principles” of sovereignty and territorial integrity, he said, adding that the United States should also provide financial support for Ukraine’s government and people. “We want the Ukrainian people to determine their own destiny and have good relations with the United States, Russia, Europe — anyone they choose,” he said, calling for continued diplomatic efforts. Healthcare in Ukraine is supposedly free and available to all citizens and registered long-term residents. Private healthcare is also available in the country. All employed citizens contribute to the healthcare system. The Government of Ukraine oversees the health service and all citizens are entitled by law to equal access to healthcare. The European Commission has proposed another 1 billion euro for Kiev, which will come as a part of the 11 billion euro package agreed earlier in March. Conditions for the new installment will be agreed in the coming weeks with the IMF. Rick Perry made national headlines in 2009 when, during a speech to a Tea Party group, he floated the possibility that Texas could secede from the union. But the governor’s substantive ties to the neo-Confederate movement may be deeper than previously known. A 1998 voting guide published by a leading neo-Confederate group and obtained by Salon not only endorses Perry for lieutenant governor but also describes him as “a member of the Sons of Confederate Veterans.” Perry’s office did not respond to a request for comment about the governor’s possible membership in the Sons of Confederate Veterans. Voting rights are under attack in this country as state legislatures nationwide pass voter suppression laws under the pretext of preventing voter fraud and safeguarding election integrity. These voter suppression laws take many forms, and collectively lead to significant burdens for eligible voters trying to exercise their most fundamental constitutional right. Three additional states passed laws to require documentary proof of citizenship in order to register to vote, though as many as 7 percent of American citizens do not have such proof. Seven states shortened early voting time frames, even though over 30 percent of all votes cast in the 2008 general election were cast before Election Day. Two state legislatures voted to repeal Election Day registration laws, though Election Day registration increases voter turnout by 10-12 percent. Finally, two states passed legislation making it much more difficult for third-party organizations to register voters – so difficult, in fact, that some voter registration organizations are leaving the states altogether. 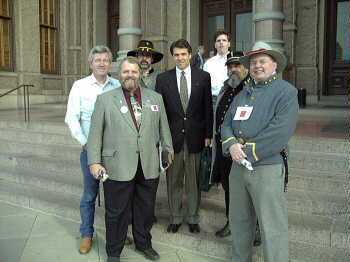 Perry, who in 1998 was Texas’ commissioner of agriculture running in a fiercely contested lieutenant governor’s race, was praised by the League of the South as a “solid, conservative candidate” who would provide a “tremendous boost” to efforts in the Legislature to proclaim April as Confederate History and Heritage Month. (A few months after the election, in April 1999, the Texas state Senate did just that, though it’s not clear if Perry played any role.) On Election Day ’98, Perry narrowly beat out Democrat John Sharp to become the state’s first Republican lieutenant governor since Reconstruction — an outcome that positioned Perry to rise to the state’s top job two years later, when George W. Bush left the governorship to become president. What about the Sons of Confederate Veterans? Founded in 1896, it offers genealogical services, sells Confederate memorabilia and literature, and has lobbied to make Confederate flag license plates available around the country, and to keep the Stars and Bars flying at government buildings. 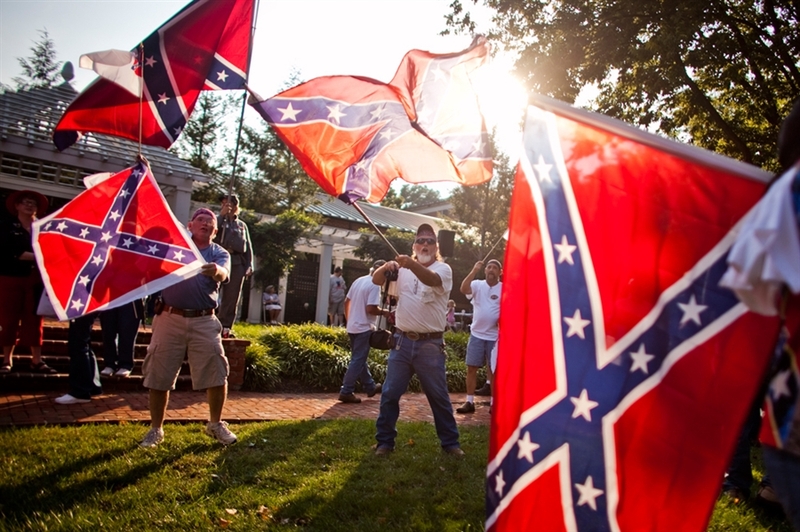 In the late 1990s and early 2000s, the group experienced years of internal conflict between moderate and radical factions, essentially between those who wanted to focus on maintaining historical sites and supporting research and those who were committed to glorifying the Confederacy — in some cases, out-and-out white supremacists. The latter faction seems to be in the ascendancy these days. Ray Wainner, Texas division adjutant at the Sons of Confederate Veterans, told me that Perry’s name did not appear in the group’s membership records — but that they only go back to 2001. The national office of the Sons of Confederate Veterans did not immediately respond to a request for comment. And Perry’s office did not respond to a request for comment. Whether or not Perry was ever a member of the Sons of Confederate Veterans, we know for certain that he has a little-examined history of associating with neo-Confederates and expressing sympathy for their cause. In 2000, for instance, Bush was locked in a heated South Carolina presidential primary contest with John McCain in which the question of the Confederate flag and its presence atop the state’s capitol played a prominent role. (Bush basically punted, saying it was a state issue.) At the same time, back in Texas, the NAACP demanded that two plaques bearing Confederate symbols be removed from the state Supreme Court building. The plaques were ultimately removed (sparking a decade of litigation pushed by the Sons of Confederate Veterans), but not before Lt. Gov. Perry weighed in on the side of the neo-Confederates. I’ve asked her if he has a position on the pending license plate issue, and if I hear back I will update this post. The part about the purge is absolutely false — there were no such purges, even on a small scale. At one point, some members proposed that we purge those few dissidents who were trying to overthrow the elected leadership of the SCV in court, but I and other members of my administration quickly put a stop to such actions, which were against the SCV bylaws. Also, there were no criticisms of racism — this is a myth started by the dissidents when they lost in court; they then tried to destroy the SCV at the state level by alleging that the SCV was being overtaken by racists. I personally investigated this matter and no one was ever able to supply me with any names of allege. Congress had to consider how to restore to full status and representation within the Union those southern states that had declared their independence from the United States and had withdrawn their representation. Suffrage for former Confederates was one of two main concerns. A decision needed to be made whether to allow just some or all former Confederates to vote (and to hold office). The moderates wanted virtually all of them to vote, but the Radicals resisted. They repeatedly tried to impose the ironclad oath, which would effectively have allowed no former Confederates to vote. Radical Republican leader Thaddeus Stevens proposed, unsuccessfully, that all former Confederates lose the right to vote for five years. The compromise that was reached disenfranchised many Confederate civil and military leaders. No one knows how many temporarily lost the vote, but one estimate was that it was as high as 10,000 to 15,000 out of a total white population of roughly eight million. Sumner soon concluded that “there was no substantial protection for the freedman except in the franchise.” This was necessary, he stated, “(1) For his own protection; (2) For the protection of the white Unionist; and (3) For the peace of the country. We put the musket in his hands because it was necessary; for the same reason we must give him the franchise.” The support for voting rights was a compromise between moderate and Radical Republicans. The Republicans believed that the best way for men to get political experience was to be able to vote and to participate in the political system. They passed laws allowing all male freedmen to vote. 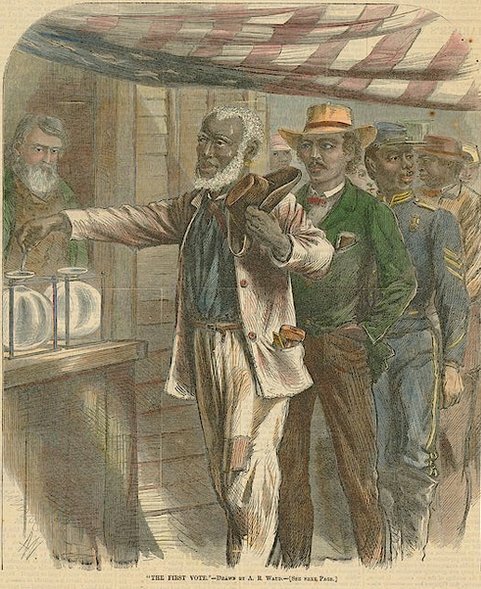 In 1867, black men voted for the first time. Over the course of Reconstruction, more than 1,500 African Americans held public office in the South; some of them were men who had escaped to the North and gained educations, and returned to the South. They did not hold office in numbers representative of their proportion in the population, but often elected whites to represent them. The question of women’s suffrage was also debated but was rejected. From 1890 to 1908, southern states passed new constitutions and laws that disfranchised most blacks and tens of thousands of poor whites with new voter registration and electoral rules. When establishing new requirements such as subjectively administered literacy tests, in some states, they used “grandfather clauses” to enable illiterate whites to vote.